A banner year for Palestinians in Scandinavia, Europe, Asia, and the Americas is coming to a close. We take a look at how Palestine's legionnaires fared over the past season and what it could mean for their national team hopes ahead of the 2019 Asian Cup. The best player currently plying his trade abroad, Hosam Aiesh had a banner year over the past 12 months. His great goalscoring form helped Östersunds win an improbable Svenska Cupen title (technically happened last season) and he put in some great performances in the Europa League preliminaries- winning a penalty away to PAOK. In the group stages he assisted on the lone goal vs. Zorya. The tail end of his 2017 season was cut short due to injury and a much awaited Palestine debut was delayed. He returned stronger in 2018, becoming the first Palestinian to score in the Europa League in a near epic comeback vs. Arsenal at the Emirates. Injury has relegated him to 6/11 Allsvenskan games but since returning from injury, Aiesh has scored and assisted twice. Östersunds, who lie in sixth, have lost the services of manager Graham Potter to Swansea. A superlative 2017 season saw Awad drag Dalkurd by sheer force of will into the Allsvenskan. The attacking midfielder had eight goals and six assists in 24 appearances and exhibited serious toughness by playing through pain during the tail end of the season. 2018 has gotten off to a slower start with Awad struggling to find consistent playing time. A coaching change seems to have handed him a chance. A chance he took brilliantly just before the Allsvenskan summer break- his first Allsvenskan start against giants Malmö resulted in a goal and a valuable point. After a great start to life at Kalmar, punctuated by a debut goal, in 2016 things did not go to plan for Eid in 2017. A niggling groin injury limited performance and a midseason coaching change threw his position into doubt. A short term loan through July 1st to Norwegian Mjøndalen has given Eid an opportunity to get valuable game time. Eid recently scored his first goal of the season boosting the side's promotion chances. The 20-year old is the third choice centreback for AFC Eskilstuna has been relegated to situational football, helping the side hold onto leads late in games. 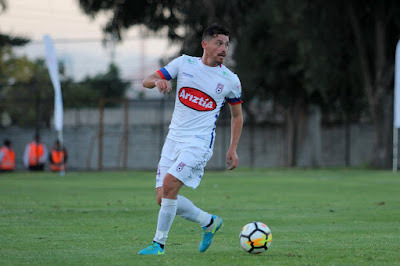 The Chilean born right back has been enjoying an Indian summer with Deportes Melipilla. After helping them secure promotion to Primera B, he has been instrumental in helping the side stay there. His versatility has seen him start games as central defender and as a wingback on either side of a five man defence. The ability to play several positions should see him gain serious consideration for a spot in the 2019 Asian Cup squad. A slow but steady return to action for Islame who completed the latter stages of his recovery from an Achilles tendon rupture. The Chilean leagues return to action on July 20th. Gattas who was part of the national team for a brief period in 2016 has finally found the right club. His form under former national team goalkeeper Leo Zamora has returned and he's having his best season in five years. Rangers are fighting for a promotion place and sit in fifth place at the midway point of the season. After being recognized as one of the best players in the third tier an injury has ruled out Tamburrini for most of the 2018 season. The project he joined at San Antonio Unido has also changed as the side could not ride the form of Tamburrini and the goals of Humberto Suazo to promotion. Once a constant in Palestine's starting XI, Tamburrini will most likely miss out on a trip to the Asian Cup. 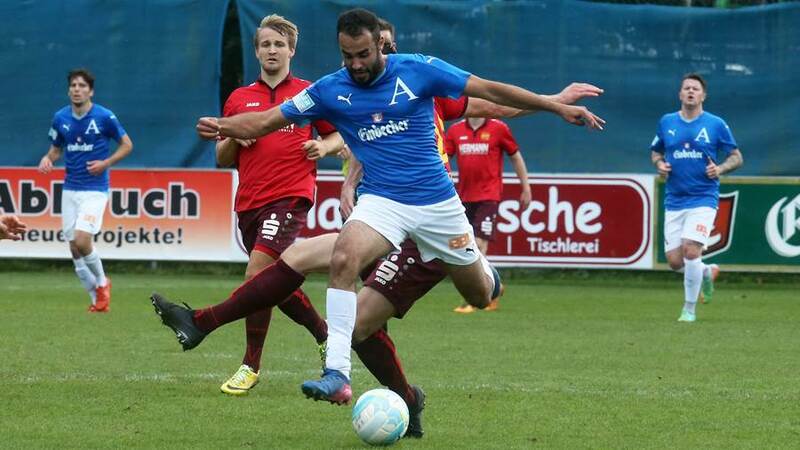 What a season for Saleh Chihadeh who has taken the scenic route in proving his goal scoring capabilities- his 56 goals in 122 games in the fourth division earned him a contract with SC Kriens and the beginning of this season. After scoring 20 goals in 29 games and guiding Kriens to the second division- Chihadeh is on the brink of a move to SC Sion of the Swiss Super League. The best player on a bad team. The Ukraine-born forward could do nothing to help Roda JC stave off relegation. He will leave the team in the offseason having established himself as a proven Eredivisie scorer. Former national team manager Abdel Nasser Barakat revealed that all the paperwork is complete and Schahin could join the national team soon. 16/30 Games (15 Starts) 1,281 minutes, 6 goals, 4 assists. 7 yellow cards, 1 red card. 1 goal in 90 minutes in the cup. Mohammed Darwish missed significant time with Arminia Hannover as a consequence of a lengthy red card suspension. When he did play, Darwish was sensational in what amounts to his first season as part of a senior team. How long will he hang around in the German fifth division? El-Kayed signed for Albanian champions Skenderbeu in January but was loaned out to Kosovan side Trepca89. Injury sidelined him for the better part of two months but he did recover to score his lone goal on the final day of the season. Saado Abdel Salaam saw action in Platanias Chania's final three games of the season, going the full 90 in one match. With Platanias due to compete in the second division next season, there might be more chances for the young defender to get playing time. Carlos Salom's great form for Union Española last season earned him a move to Mexico which came to a premature end after some unfortunate comments in reference to the 2017 earthquake. It was a similar story for Matías Jadue who parlayed 18 good months in Malaysia into a contract with Port FC. With too many foreigners on the books, Jadue could not play in the league and decided to drop down a division in the offseason. Things went pear shaped at Krabi- the striker grabbed a single goal before voiding his contract last month. 10 league goals and 17 games saw Mahmoud Wadi clinch a move to the Egyptian Premier League. His Ahli Amman teammate, Mohammed Balah was not as fortunate, spending most his time playing out of position as a winger. Balah was granted a contract release from Ahli but has yet to determine what his next move is.